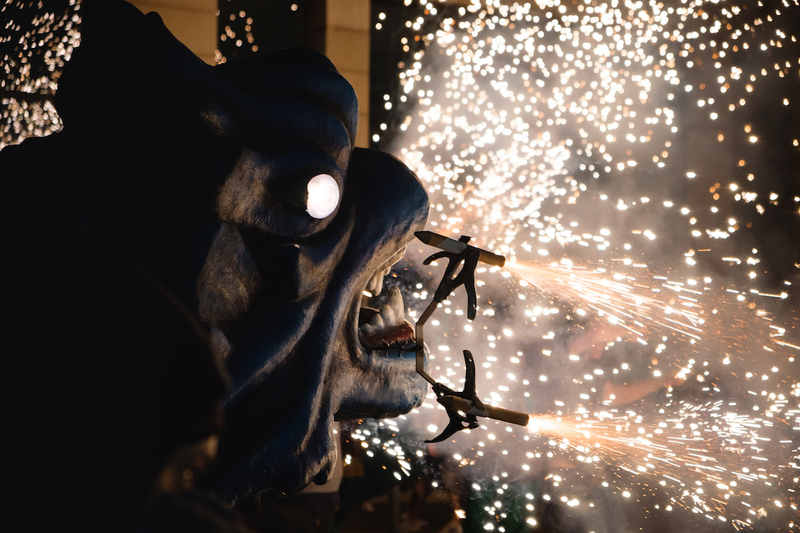 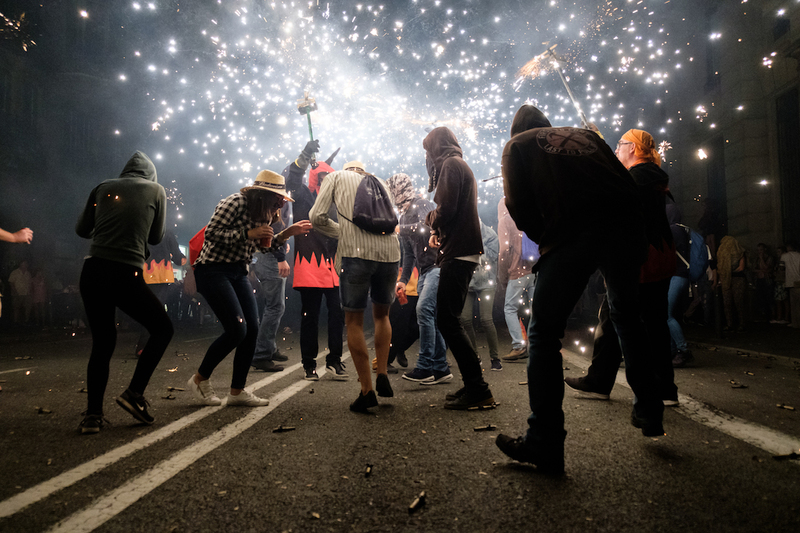 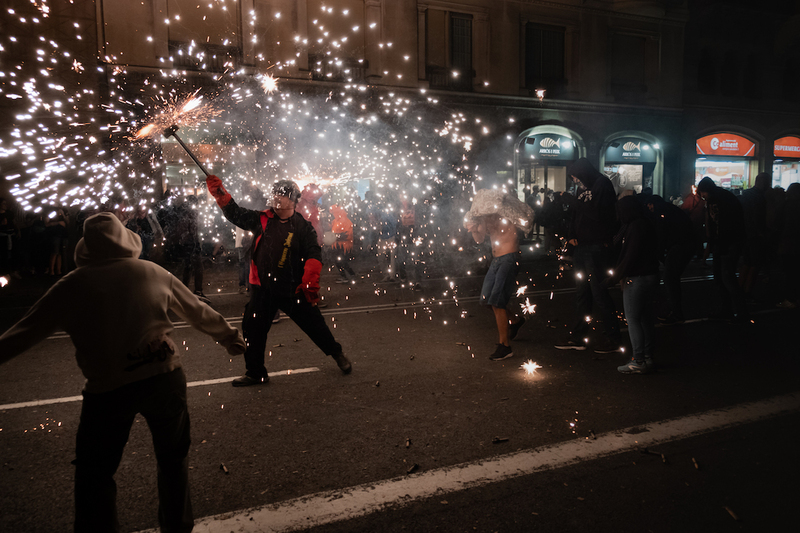 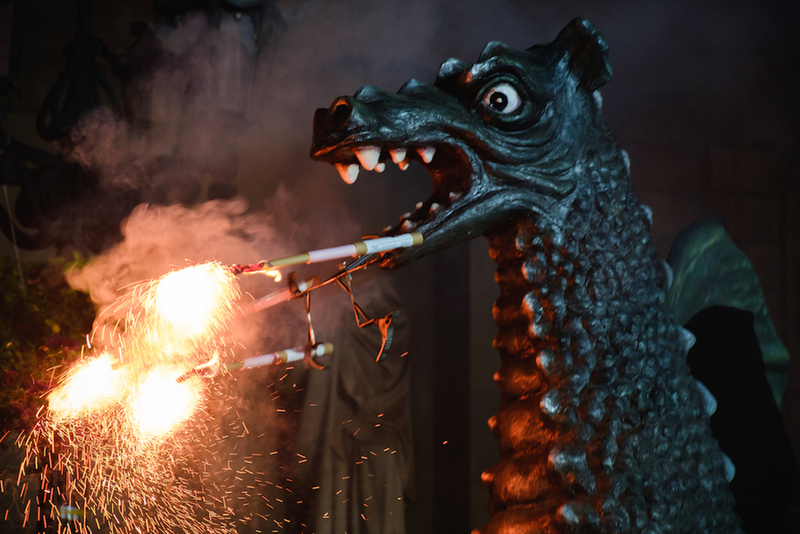 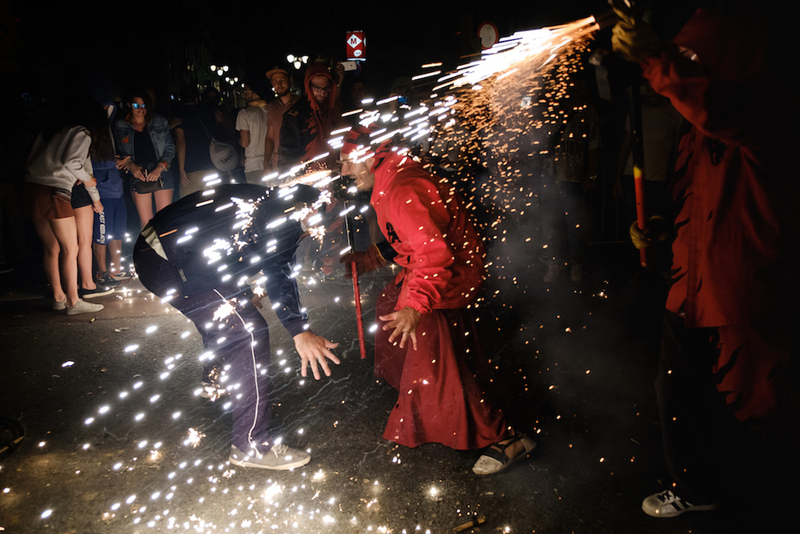 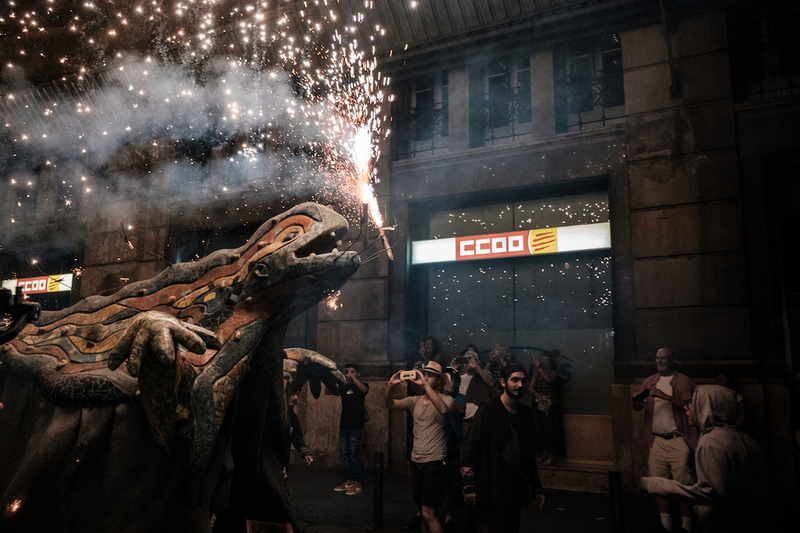 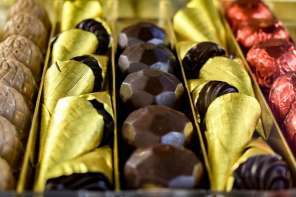 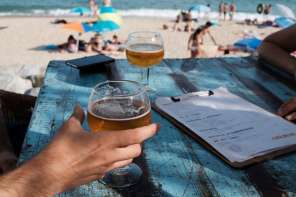 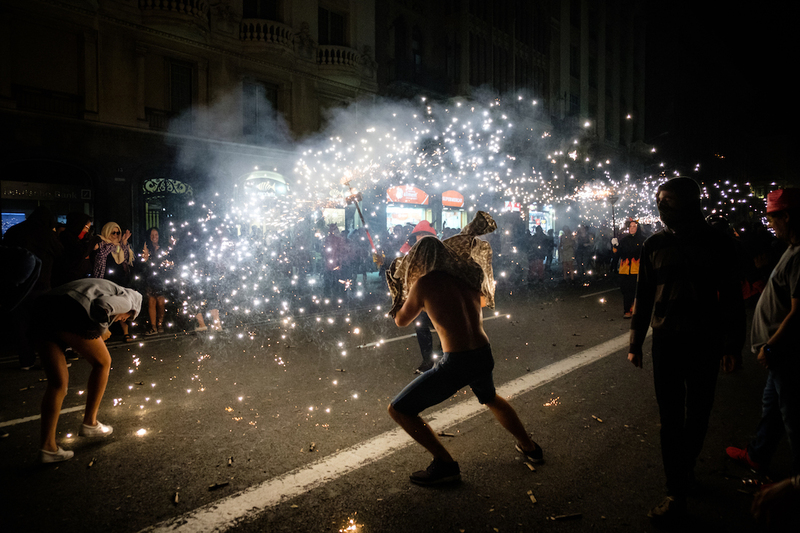 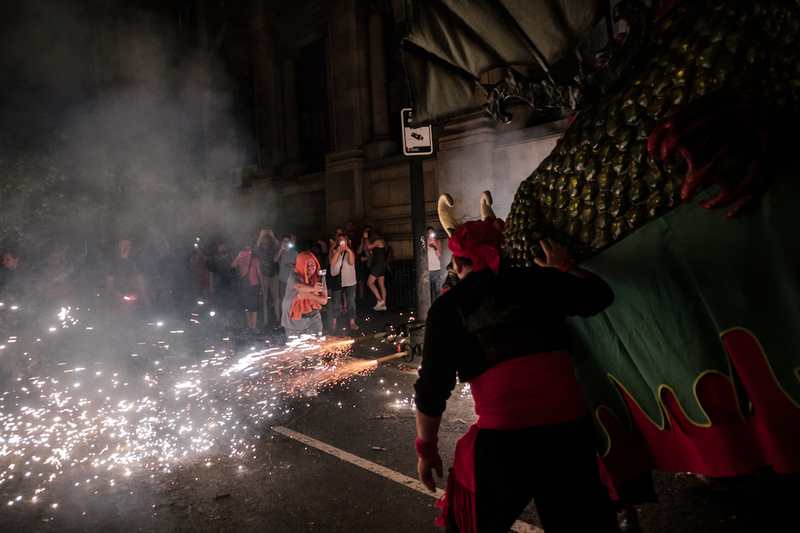 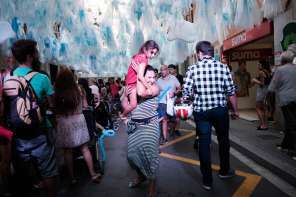 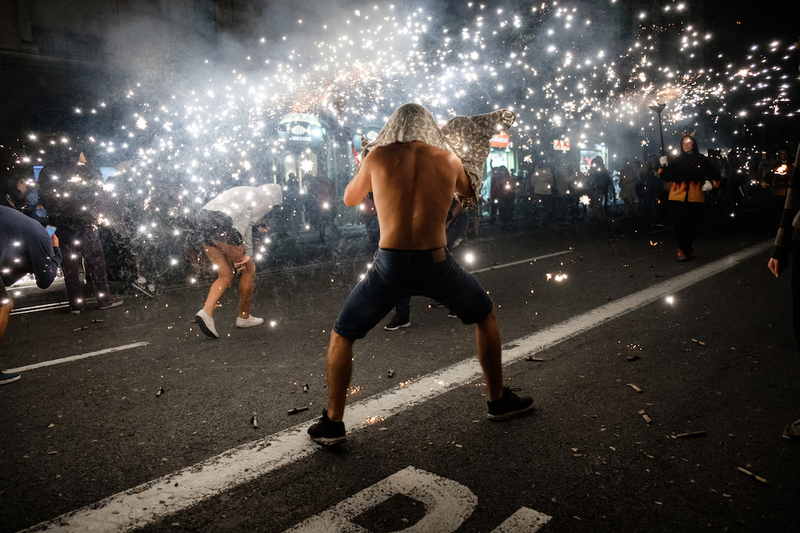 Held over four days every September, as summer turns to autumn, La Mercè celebrates Barcelona’s patron saint and is unquestionably the city’s largest and most ferocious cultural celebration. 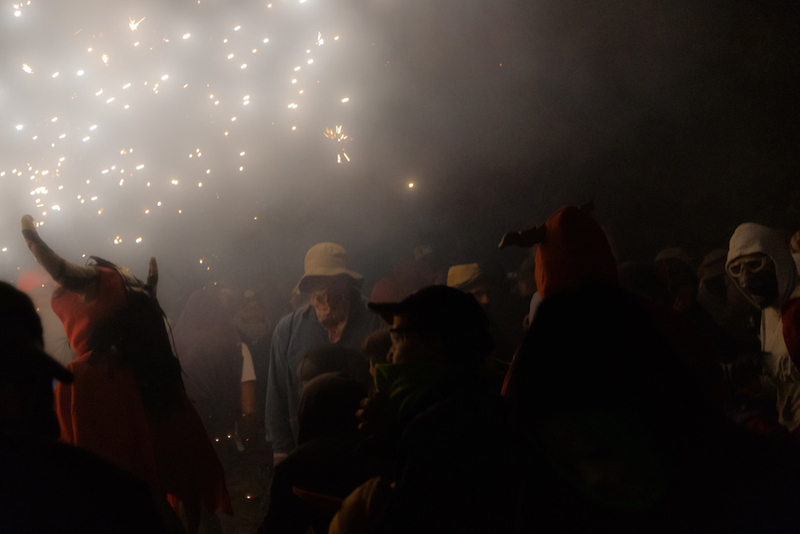 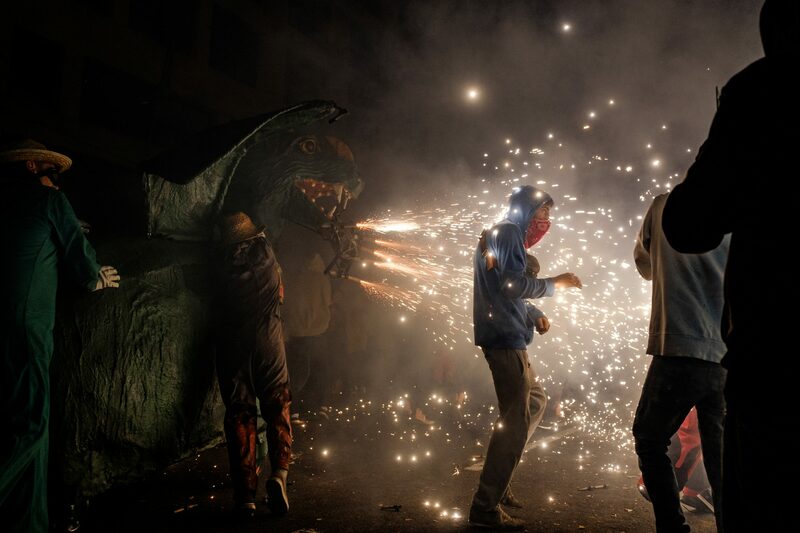 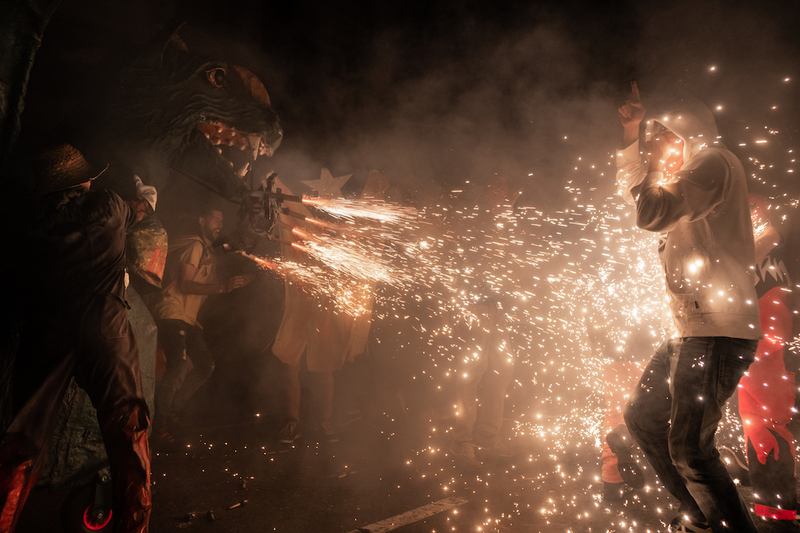 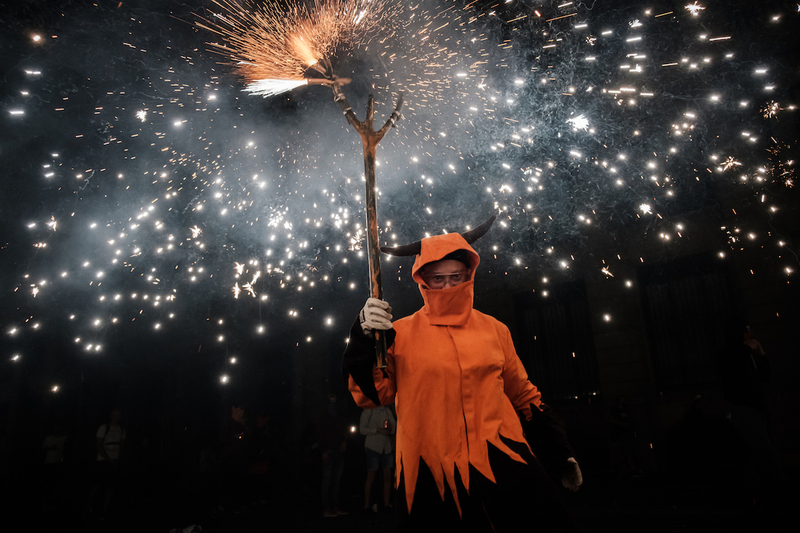 But though there are many great customs to witness during the celebrations, from parading giants to towering human castles, for me the most thrilling event has to be the fire-spraying devils of the correfoc (fire run). 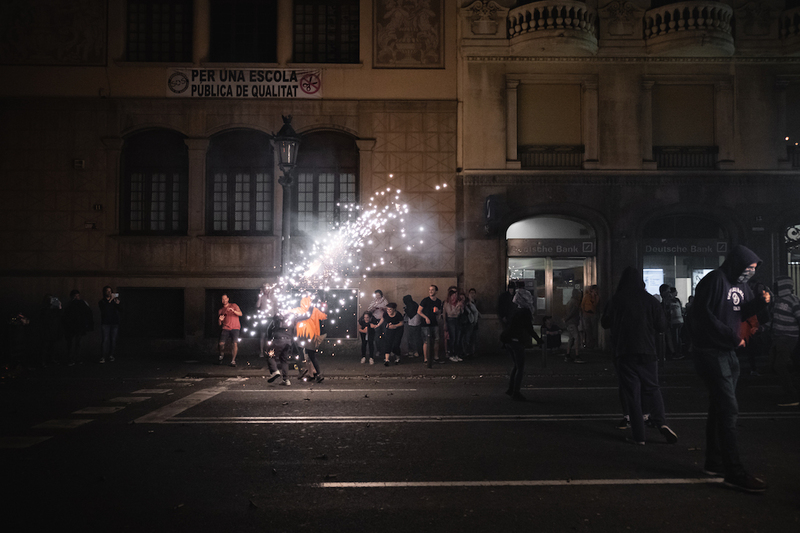 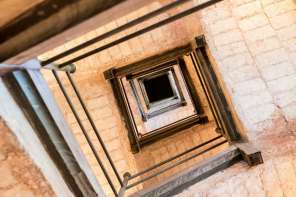 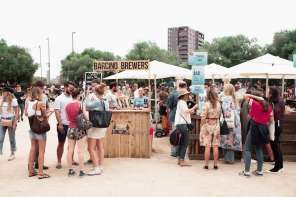 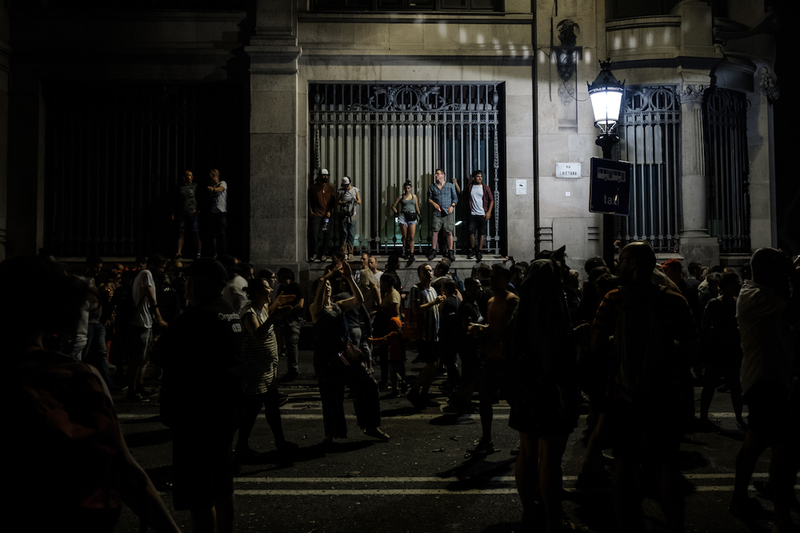 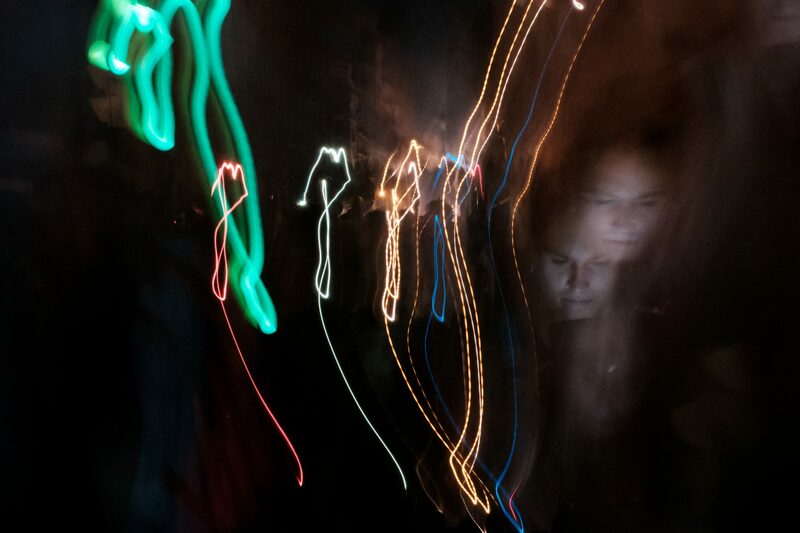 Words & photos by your burnt and battered Barcelona guide, Ben Holbrook. 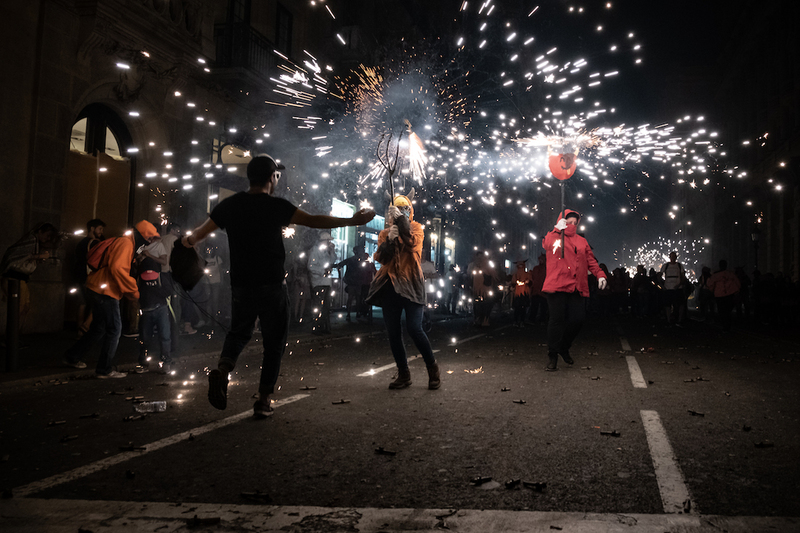 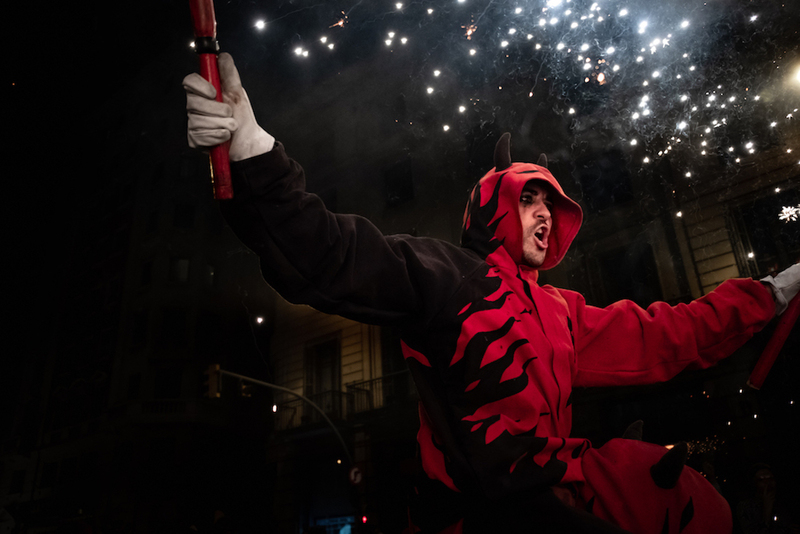 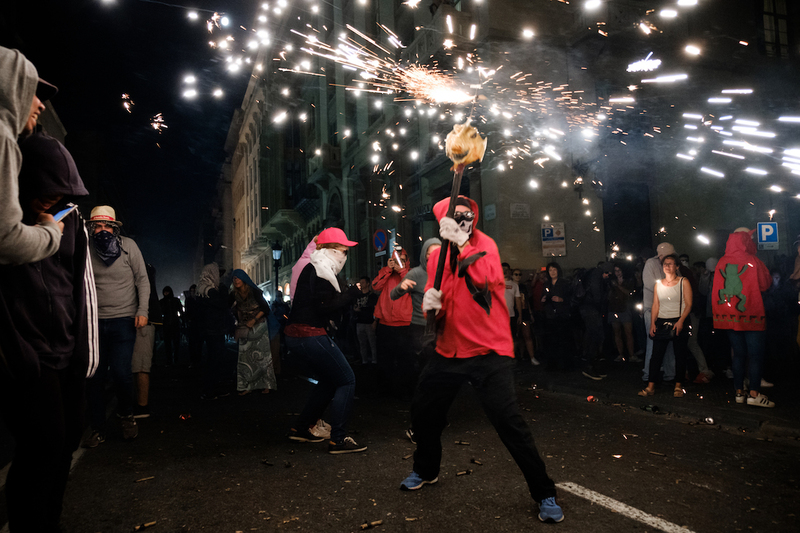 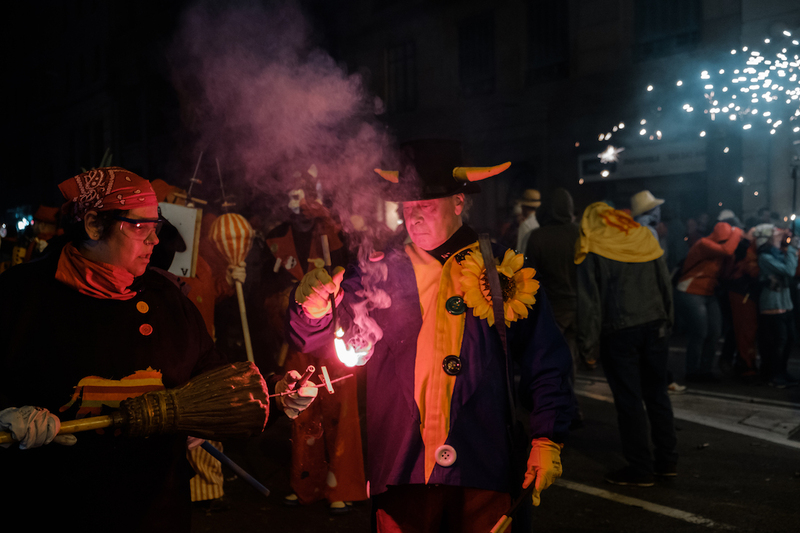 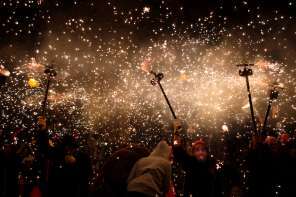 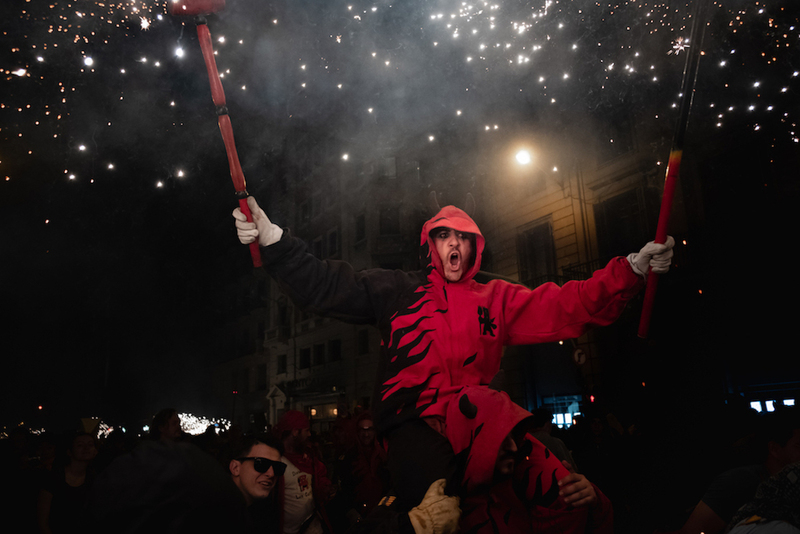 The tradition dates back as far as the 1100s, to the “Ball de Diables” (The Devils’ Ball), and started life as a folk dance inspired by the fight between good and evil. 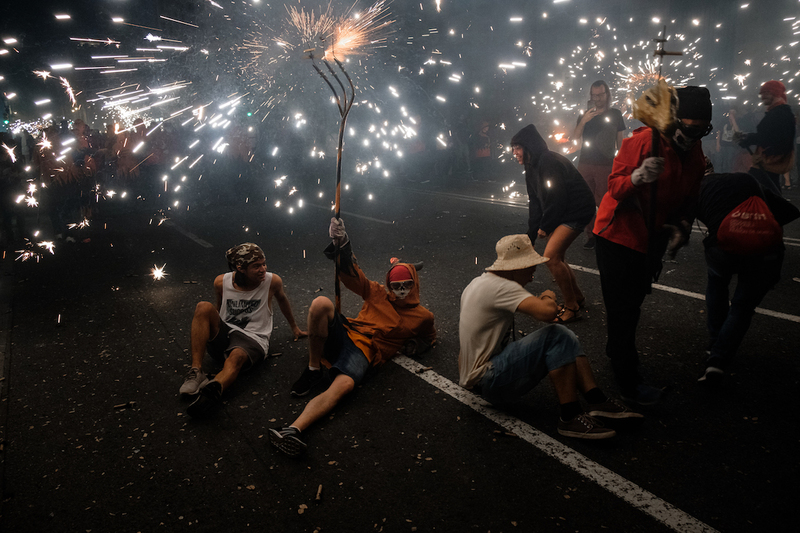 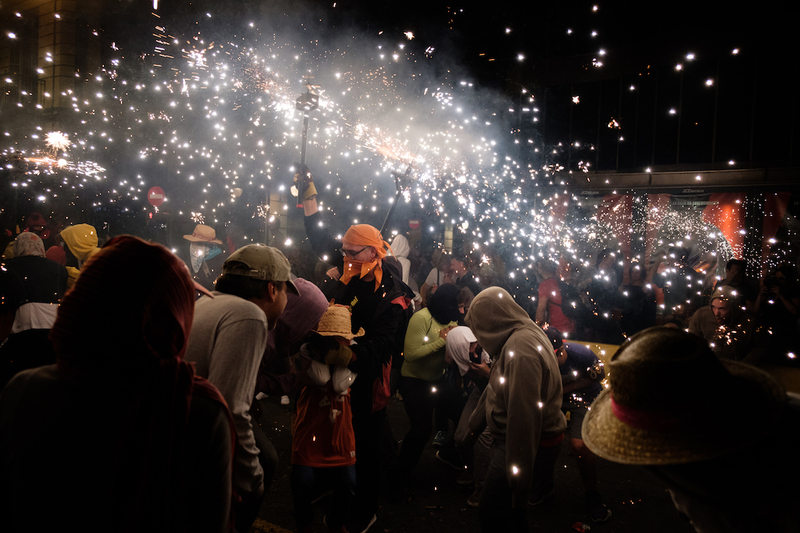 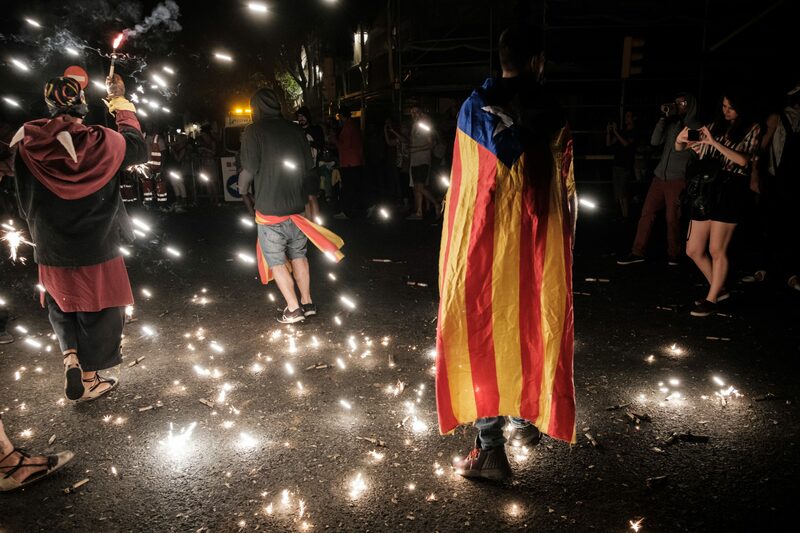 Over the centuries the dance has become a sort of government-funded festival of anarchy, with groups of devils skipping maniacally through the streets with flame-throwing pitchforks. 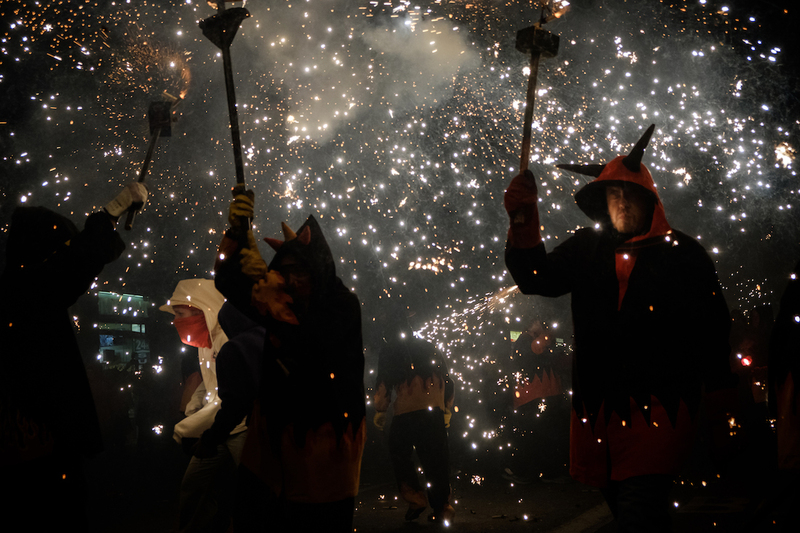 Get in their way and they’ll grab you for a dance from beneath their canopy of fire, or spray you with a jet of white-hot sparks. 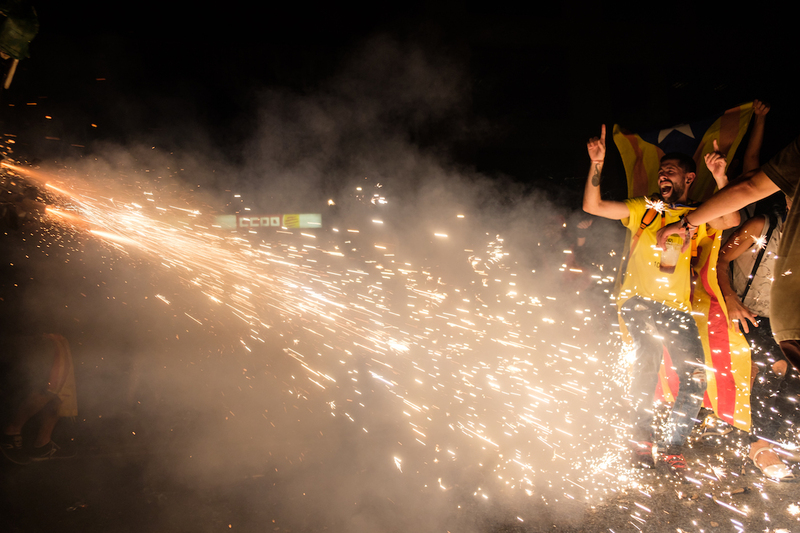 In any other city, this preposterous event would be outlawed. 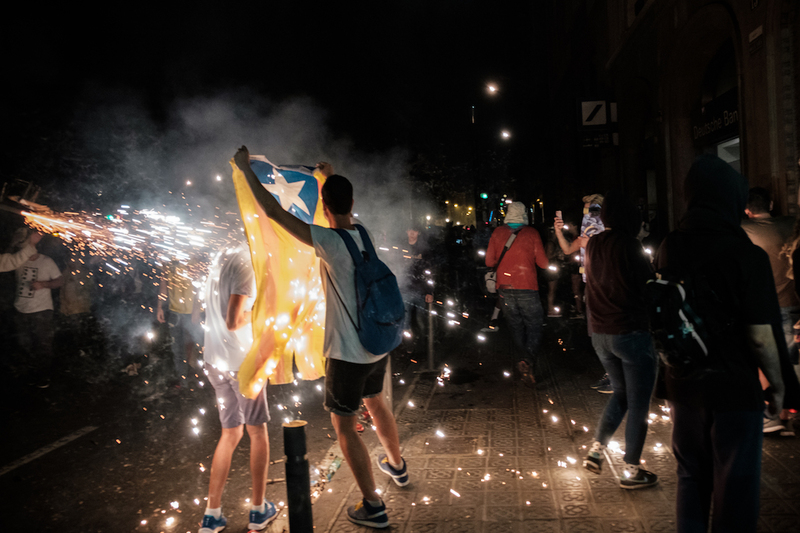 In Barcelona, it is encouraged and honoured with no expense spared. 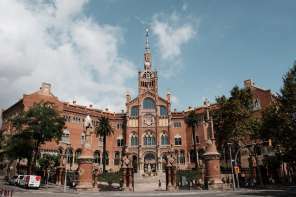 I particularly loved the way the Barcelona council described the invent on the official website. 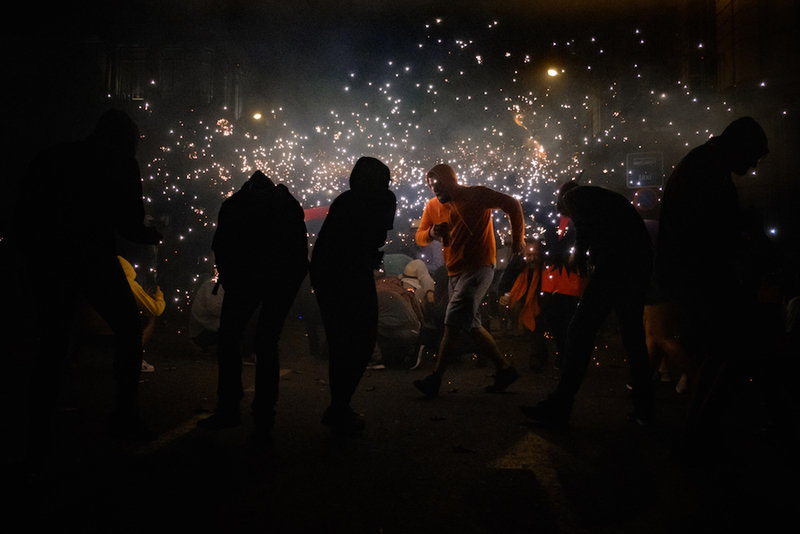 The tone really demonstrates just how normalised this chaotic event is among the locals – tradition and culture reign supreme in these parts, and I love it! 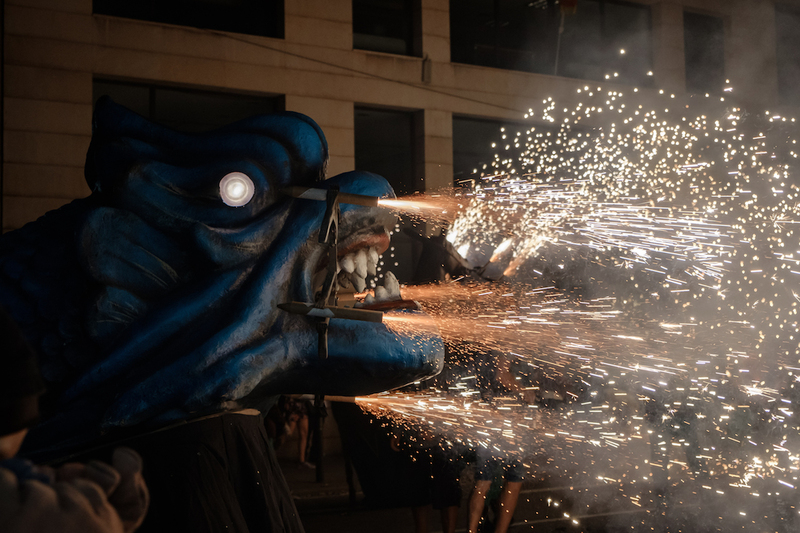 Attend the lighting and opening of the Hell’s Gate and watch out for hellish beasts and all the devils who have come from all over the city. 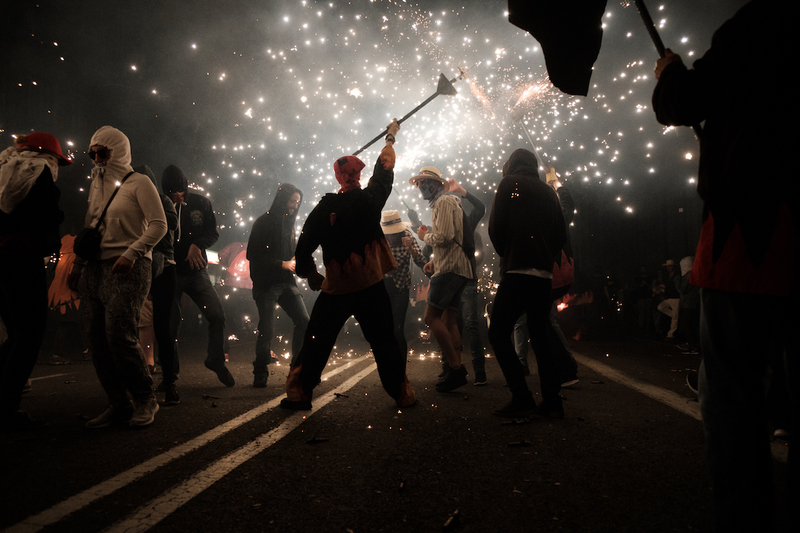 Enjoy the party, and have an intense, but safe, time. 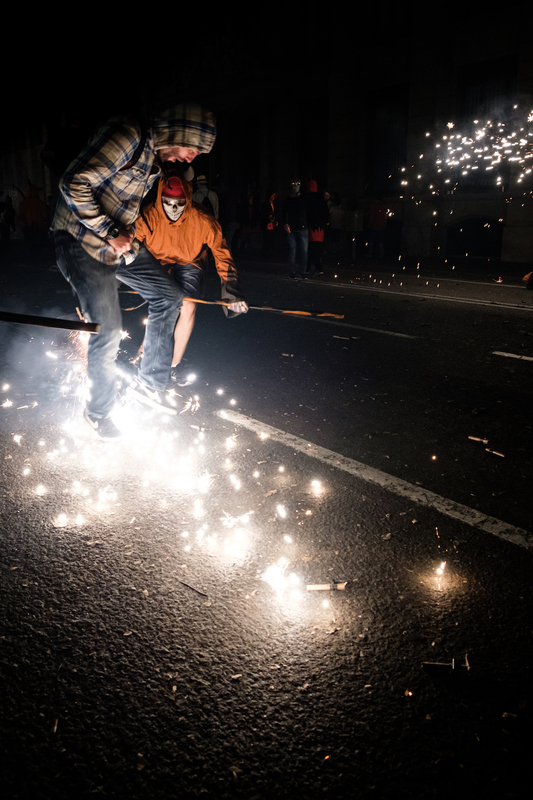 Make sure you don’t take any unnecessary risks and be careful what you do! 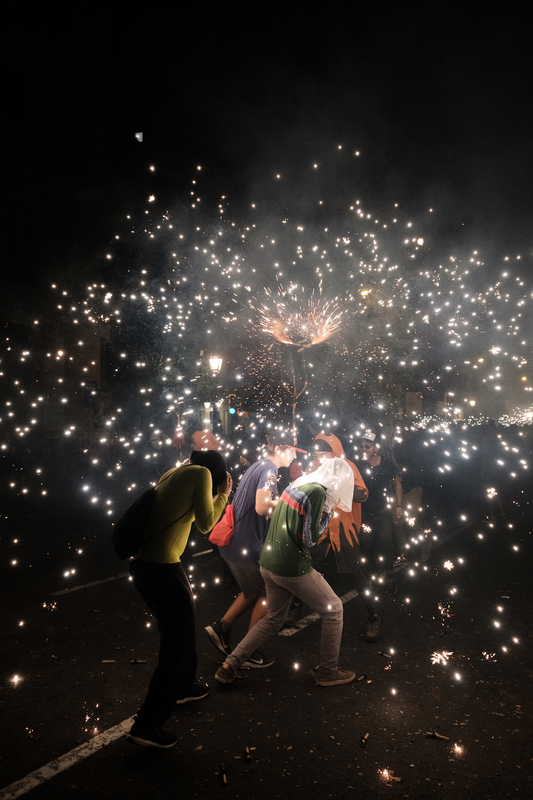 La Mercè takes over Barcelona for four or so days every September – an excellent time to be in the city as the weather is still great but much more manageable. 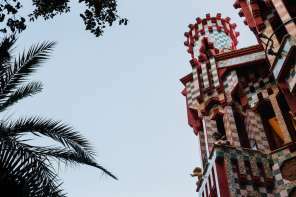 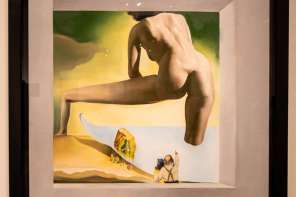 See my full guide about La Mercè here and find somewhere to stay here. 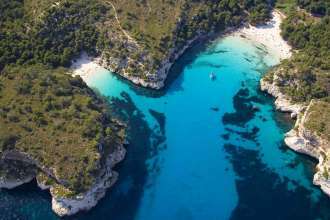 Whether exploring the 217 km of ivory sands, indulging in the local cuisine or hunting out the mysterious Bronze Age sites, this Balearic beauty is sure to stir your soul.